Laura Brandon's promise to her dying father was simple: to visit an elderly woman she'd never heard of before. A woman who remembers nothing-except the distant past. Visiting Sarah Tolley seemed a small enough sacrifice to make. But Laura's promise results in another death: her husband's. And after their five-year-old daughter, Emma, witnesses her father's suicide, Emma refuses to talk about it - to talk at all.Frantic and guilt ridden, Laura contacts the only person who may be able to help. Her family's cottage on the New Jersey shore was a place of freedom and innocence for Julie Bauer - until her 17-year-old sister, Isabel, was murdered. It's been more than 40 years since that August night, but Julie's memories of her sister's death still shape her world. Now someone from her past is raising questions about what really happened that night. About Julie's own complicity. About a devastating secret her mother kept from them all. Eight-year-old Sophie Donohue just wanted to be like every other little girl. Which is why her mother, Janine, reluctantly agreed to let her go on the weekend camping trip with her Brownie troop. But when Janine arrives to pick up Sophie after the trip, her daughter is not with the others. Somehow, along the forested route from West Virginia, Sophie has disappeared. Sophie is no ordinary eight-year-old. She suffers from a rare disease. Actress Eden Riley's decision to make a film about her mother plunges her into a shattering confrontation with her own past, irrevocably altering her life and the lives of those she loves. Her mother, Katherine Swift, was a renowned children's author who died when Eden was very young. Now Eden, recovering from a divorce and disillusioned with her glamorous life, returns to the childhood home of the mother she barely knew. She moves in with her uncle, archaeologist Kyle Swift and his wife, Louise. Eden gets more than she bargained for when Kyle gives her the journal her mother had kept from the age of 13 until her death. Early on the morning of her 11th birthday, on the beach beside her North Carolina home, Daria Cato receives an unbelievable gift from the sea: an abandoned newborn baby. When the infant's identity cannot be uncovered, she is adopted by Daria's loving family. Now, 20 years later, Shelly has grown into an unusual, ethereal young woman whom Daria continues to protect. Twenty years ago, a terrible tragedy shattered the tranquility of the small Pennsylvania Dutch town of Reflection. The residents of the village have never forgiven the one woman they blamed for what happened - Rachel Huber. After the incident, Rachel left the town and cut off all ties there. But when Rachel receives the news that her estranged grandmother, Helen, is ill and needs her care, she returns to Reflection. Perpetual optimist Claire Harte-Mathias and her disabled husband, Jon, run a successful foundation to help people with spinal cord injuries. One night Claire witnesses a woman leaping to her death from a bridge, and the tragedy sparks murky childhood memories that leave her confused and frightened. As Claire becomes obsessed with trying to understand the power the haunting memories have over her, she's torn between blocking them from her mind entirely and trying to unearth their source. Laurel Lockwood lost her son once through neglect. 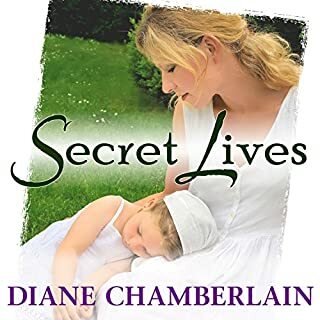 She's spent the rest of her life determined to make up for her mistakes, and she has succeeded in becoming a committed, protective parent-maybe even overprotective. Still, she loosens her grip just enough to let Andy attend a local church social-a decision that terrifies her when the church is consumed by fire. But Andy survives...and remarkably, saves other children from the flames. Dr. Olivia Simon is on duty in the emergency room of North Carolina's Outer Banks Hospital when a gunshot victim is brought in. 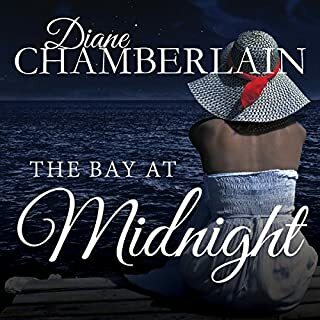 Midway through the desperate effort to save the young woman's life, Olivia realizes who she is - Annie O'Neill, the woman Olivia's husband, Paul, is in love with. Welcome to the Chapel House, the old oceanfront mansion where a group of close friends share their hopes and dreams and where love is sometimes an unexpected guest. Heartfelt and deeply moving, Private Relations won the 1989 RITA Award for Best Single Title Contemporary Novel from the Romance Writers of America. Molly Arnette is very good at keeping secrets. She and her husband live in San Diego, where they hope to soon adopt a baby. But the process terrifies her. As the questions and background checks come one after another, Molly worries that the truth she's kept hidden about her North Carolina childhood will rise to the surface and destroy not only her chance at adoption but her marriage as well. Dear Anna, What I have to tell you is difficult to write, but I know it will be far more difficult for you to hear, and I'm so sorry. The unfinished letter is the only clue Tara and Emerson have to the reason behind their close friend Noelle's suicide. Everything they knew about Noelle - her calling as a midwife, her passion for causes, her love for her friends and family - described a woman who embraced life. Yet there was so much they didn't know. With the discovery of the letter and its heartbreaking secret, Noelle's friends begin to uncover the truth about this complex woman who touched each of their lives. 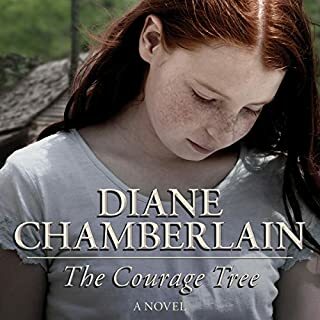 Another great book by Diane Chamberlain! When Carly Sears, a young woman widowed by the Vietnam War, receives the news that her unborn baby girl has a heart defect, she is devastated. It is 1970, and she is told nothing can be done to help her child. But her brother-in-law, a physicist with a mysterious past, tells her that perhaps there is a way to save her baby. What he suggests is something that will shatter every preconceived notion Carly has. Something that will require a kind of strength and courage she never knew existed. Something that will mean an unimaginable leap of faith on Carly's part. Maya and Rebecca Ward are both accomplished physicians, but that's where the sisters' similarities end. As teenagers, they witnessed their parents' murder, but it was Rebecca who saved Maya from becoming another of the gunman's victims. The tragedy left Maya cautious and timid, settling for a sedate medical practice with her husband, Adam, while Rebecca became the risk taker. Into the drought-weary California town of Valle Rosa comes a stranger who promises he can make it rain. All he asks for is a place to stay and complete privacy. But he is too charismatic to maintain a low profile, and the adobe cottage he's given to live in is owned by an investigative TV reporter struggling to revive her career. In 1944, 23-year-old Tess DeMello abruptly ends her engagement to the love of her life when she marries a mysterious stranger and moves to Hickory, North Carolina, a small town struggling with racial tension and the hardships imposed by World War II. Tess' new husband, Henry Kraft, is a secretive man who often stays out all night, hides money from his new wife, and shows no interest in making love. Tess quickly realizes she's trapped in a strange and loveless marriage with no way out. This is the best book I have ever listened to!!! Susanna Miller loses custody of her 11-month-old son, Tyler, but rather than turning the little boy over to her ex-husband and his new wife, she goes on the run. She dyes her hair, changes her name and escapes from Boulder, Colorado, leaving behind everyone she knows, including Linc Sebastian, the man who has been her best friend since childhood and who knows her better than anyone. Susanna lands in Annapolis, Maryland, alone, frightened, and always looking over her shoulder for someone who might recognize her. Just as she's beginning to feel safe in her new surroundings, she stumbles across information that could save the lives of many people...if she's willing to take it to the police. But going to the authorities means revealing her identity, admitting her guilt, and worst of all, losing her son. 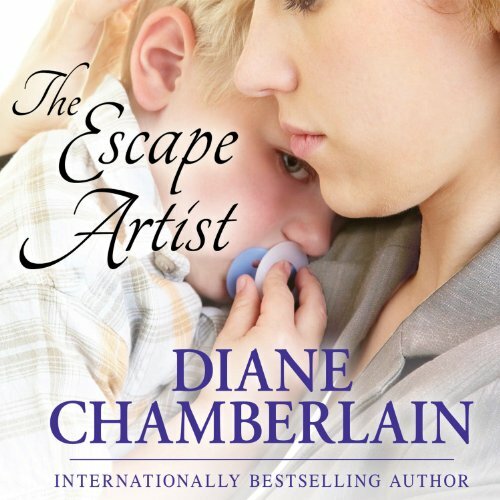 Equal parts family drama, love story, and thriller, The Escape Artist is the poignant story of a mother's unbreakable bond with her child and the resiliency of a love that transcends distance and time. When I read the papers about children being taken by the non-custodial parent I usually find myself on the custodial parents side. This story gives the opposite side-that of the parent who has had her child taken from her by the courts. The dad in this story is painted very typically bad guy..one has to wonder why any woman would be attracted to this lying guy.! OTOH the mom is nothing but a wonderful woman and of course everyone says what a great mom she is. Not one of Chamberlains best, I felt this novel could have been written much more interestingly than she was. I would say this story was just mediocre. 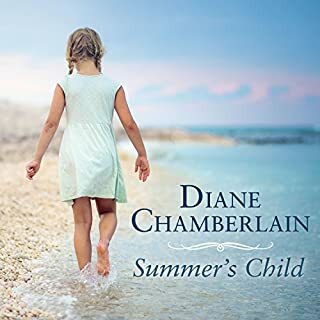 I've been working my way through Diane Chamberlain's books, and this is the first one to disappoint. First, the performance for this book was dreadful. It seemed like she was speaking so fast, and her different voices were like nails on a chalkboard. Second, I'm guessing this was written before Ms. Chamberlain had children, because she has zero clue in this story what it's like to have a one year old. The child always slept, was always happy, and never seemed to prevent her from working on her word processing. Kids at fussy, whiney, they don't always sleep, and they don't always cooperate. This was s very unrealistic portrayal of what it's like to be a single parent of a young child. I'll move on to her next book though. I have truly enjoyed several of Chamberlain’s other books - both in print and in audio. This one, unfortunately, is far from my favorite of her work. 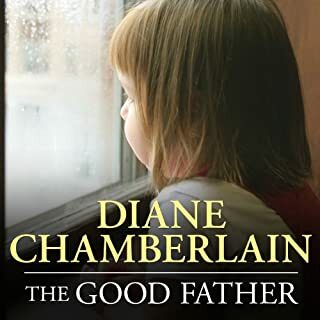 Though Chamberlain’s books all have a certain Lifetime-movie-quality, this one feels more like a re-run... the story feels overly familiar and even the subplots fail to add an unexpected element (despite the bombings, even!). The performer narrates the audio version has a smooth voice, and though she handles the male characters well, the timbre she uses for Lucy in particular is almost painfully brash. It certainly makes me thankful that she is such a relatively minor character! Originally published in 1997, this book certainly feels a bit dated listening to it now. Particularly in the way that the research is handled, and how many different factors would change in today’s world were the same story to be told. The Internet really has changed daily lives! The early computer technology that is mentioned here will certainly make modern readers reminisce over their own memories. But, ultimately, these are not Chamberlain’s best characters. Suzanne/Kim is not easily likable and the other characters, like Peggy, just don’t feel as realistic or complex as other characters in Chamberlain’s other novels. 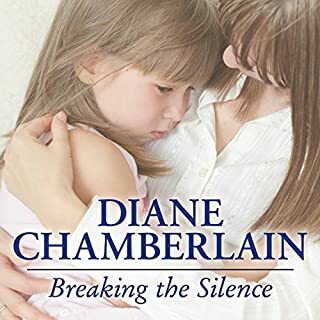 The pacing drags in the middle, and unlike other audiobooks that I have listened to by Chamberlain, I never once found myself exploiting every opportunity to listen. I am still a big fan of Chamberlain, but this one just feels more bland by comparison. Despite being far fetched, I liked it. In nutshell, a woman kidnaps her child and ends up meeting the Unabomber. Of all the places she could have fled to, she ended up entwined in a murderous revenge plot. On the surface this would seem like preposterous premise, and the story has LOADS of things to pick apart … it’s drama on top of drama on top of drama on top of drama … but surprisingly I liked it! I read several reviews on her bashing the narrator but I really enjoyed her. She has a soothing voice and did a great job with her characters. The characters were believable and personable. Overall this was a great listen and worth my time and money. Not one of my favorites by Chamberlain. The protagonist wasn't that likable, the plot -- while full of twists and turns -- was pretty easy to guess, and the narrator had an interesting accent. I spent a large part of the book trying to place the accent vs. listening to the story. It was "entertaining" but not as impressive as some of the others. Not a bad book but was predictable and draggy in spots. I actually skipped a few chapters here and there, yet still knew what was going on - some dribble or filler that I could have written myself. I need a book with more suspense than this one. ...and terrible narration. A disappointing book. Not quite what I am used to from Chamberain. What did you like best about The Escape Artist? What did you like least? The story was interesting and entertaining. I wanted to know what was going to happen, so, I trudged through the horrible narration. Her portrayal of the African American woman had me wondering if she was reading it in white face! The story was dated and I enjoyed the references to 90's computer phenomena. Did The Escape Artist inspire you to do anything? It inspires me to not listen to anything narrated by Coleen Marlo. Likable characters. Not much to sink my teeth into, but it was an ok story.